Swimming is a life skill taught by the JCH for more than 80 years. We offer parent and child lessons to help toddlers and babies get used to the water and see the pool as fun. These children can progress to youth swim lessons, which focus on skill development and water safety. 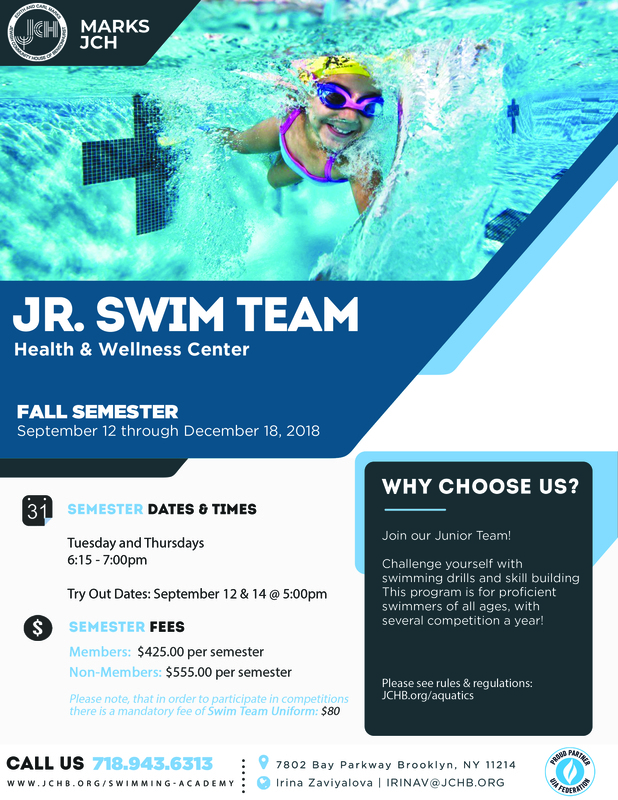 Our Swim Team program is a gateway to year-round, competitive swimming, traveling in the metro area for meets with other JCCs. 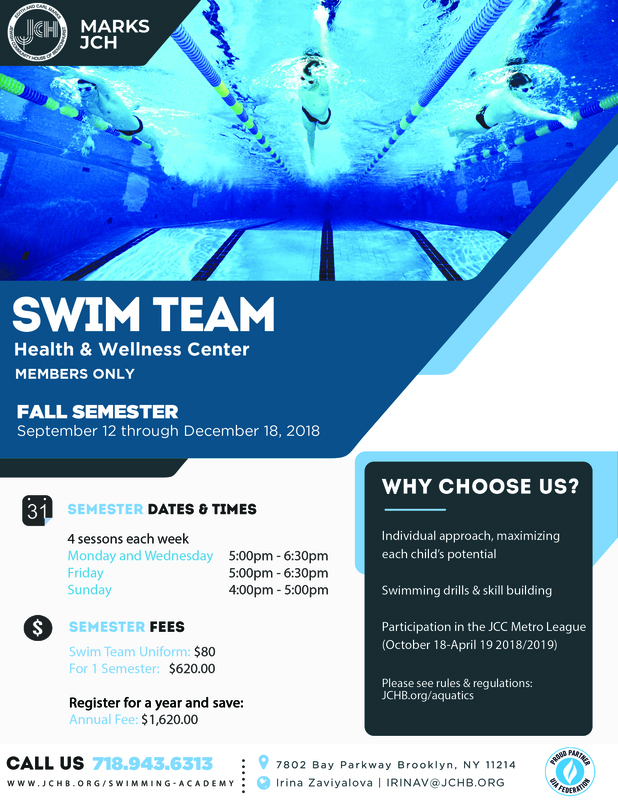 Teens and adults also can learn to swim in our private adult swim lessons or work on safety skills, strokes and fitness swimming. Members get unlimited access to the pool during scheduled hours for aquatics and lap swim. We offer separate male and female hours; family swim and older adult midafternoon hours.